Ok, now that you’re done processing what you’ve just seen, you can pop the stack. 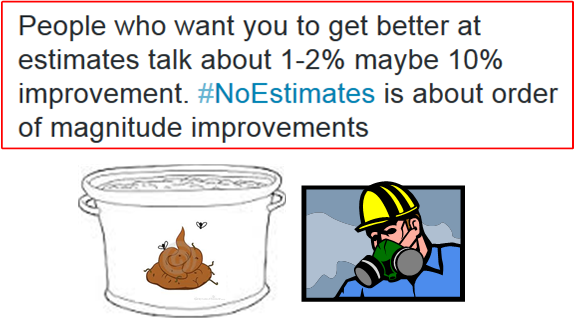 As a software developer, the idea of #noestimates was really appealing to me. I sooo wanted to be convinced of its applicability across the whole landscape. 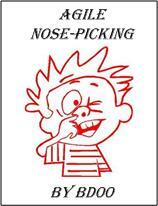 Thus, I originally was on board with, and rooting for, the fledgling movement. 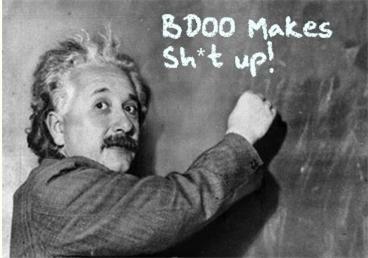 However, it’s hard for me to take the #noestimates community seriously when one of its top advocates slams a croc o’ crap like this down on the dinner table. From what I’ve seen and heard over 2+ years of heated Twitter debates, the case for jettisoning the practice of estimation from the software development life cycle is still so intellectually weak that I consider it a waste of energy whenever I find myself getting sucked into the fray. Now when I scroll through my twitter feed and stumble across yet another vitriolic exchange on the subject, I cross my fingers and pray that I make it past the spew without adding my own crap to the gobbledygook. 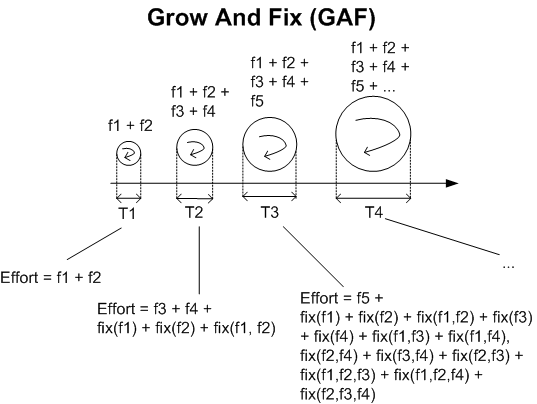 The figure below shows a series of “Grow And Fix” (GAF) cycles that models a software development effort. The gaps between each cycle represent external (to the team) deployment/usage/feedback periods. In practice, there usually are no gaps. After all, any upstanding org filled with managers who are paid to obsess over efficiency can’t allow for any idle machines between incremental releases. 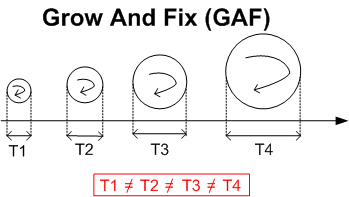 Note that in the GAF way of doing things, the duration for producing a stand-alone increment varies from increment to increment. That’s because the GAF community thinks the act of arbitrarily setting T1 == T2 == T3 == T4 == T (like, say, T == 30 days) for every major increment is a pretty much stupid and dogmatic policy. As stated in the 16 page GAF user guide, the duration for each release is proportional to the breadth and depth of the functionality (f1, f2…. fx) allocated to the release. 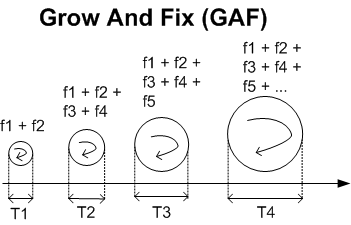 In addition to the effort required for defining, creating and integrating new functionality into the growing system, the GAF method takes into account the effort required to “unbreak” existing functionality and to handle emergent, unexpected, behaviors that arise from function-to-function interactions (fix(f1,f2), fix(f1,f3)…). For more detailed information on the groundbreaking new GAF methodology, including real success stories, endorsements, certification costs, books, T-shirts, hoodies, mugs, and upcoming community conferences, visit the GAF website. 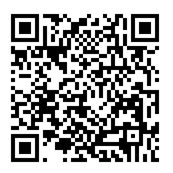 Enter the code BD00 at checkout to receive a 10% discount and free shipping on your first purchase. 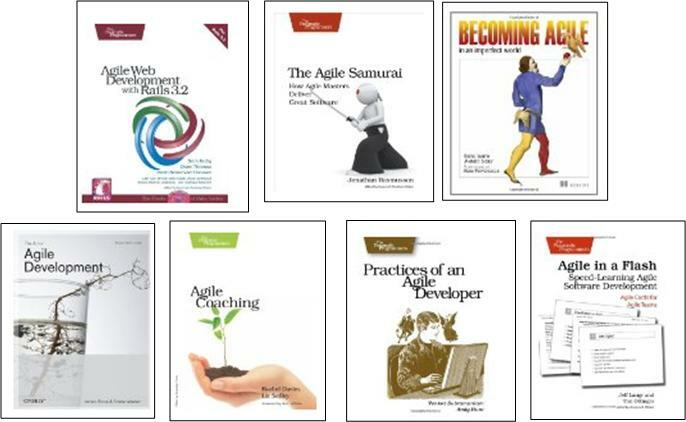 My fave in the list is “Agile In A Flash“. I’d venture that it’s written for the ultra-busy manager on-the-go who can become an agile expert in a few hours if he/she would only buy and read the book. What’s next? Agile Cliff notes? “Agile” software development has a lot going for it. With its focus on the human-side of development, rapid feedback control loops to remove defects early, and its spirit of intra-team trust, I can think of no better way to develop software-intensive systems. It blows away the old, project-manager-is-king, mechanistic, process-heavy, and untrustful way of “controlling” projects. However, the word “agile” has become so overloaded (like the word “system“) that…. Gawd. I’m so fed up with being inundated with “agile” propaganda that I can’t wait for the next big silver bullet to knock it off the throne – as long as the new king isn’t centered around the recently born, fledgling, SEMAT movement. What about you, dear reader? Do you wish that the software development industry would move on to the next big thingy so we can get giddily excited all over again?